Priorat is Spain’s most elite wine region and often referred to as Spain’s “Burgundy”. Known as “Priorat” in Catalan and “Priorato” in Spanish, this phenomenal wine region is making some of the nation’s most exciting and most expensive wines. Priorat is where Alvaro Palacios’ L’Ermita, Rene Barbier’s Clos Mogador and Mas Doix are all made. It also happens to be one of the most picturesque and unspoiled wine regions in Europe. Located about two hours south of Barcelona and less than an hour from Tarragona, it is an easy drive to the wine country and we have created this premium tour for those looking for a VIP Priorat wine experience. You will drive into the spectacular Montsant National Park, with its red ochre mountains and steeply terraced vineyards, reminiscent of Portugal’s Douro Valley. You will visit the finest estates such as Costers del Siurana (Clos de l´Obac), Mas Doix and Clos Mogador. Stay in the stunning village of Gratallops in the most delightful boutique hotel and discover a range of gourmet eateries including Aspic and Els Brot. All of this interspersed with striking scenery and historic villages such as Falset and Ulldemolins. Taste a range of rich, sultry red Priorat wines and learn about the history of the region. Priorato means “Priory” and the region is named after the 11th-century Carthusian monastery (i.e. Priory) in Scala Dei. You will have a chance to visit the ruins of this captivating monastery, set amid scenic vineyards with the beautiful Montsant Mountains as a backdrop. Tour the vineyards and see the old vine Garnacha (Grenache) and Cariñena (Carignan) vineyards up close. If you are looking for a luxury wine tasting trip to the Priorat then contact us for more information. You will be picked up by your luxury chauffeur driven Mercedes from Barcelona airport (port or hotel) and whisked away into the beautiful Priorat countryside. Just an hour and a half drive away, nestled in the hills is your first stop; Capçanes. Rich in viticultural history, dating back to the 13th century, it is only relatively recently however that this village has been recognized internationally for its superior quality. In 1995 the Barcelona Jewish community requested Capçanes to produce kosher wines and they haven’t looked back since. 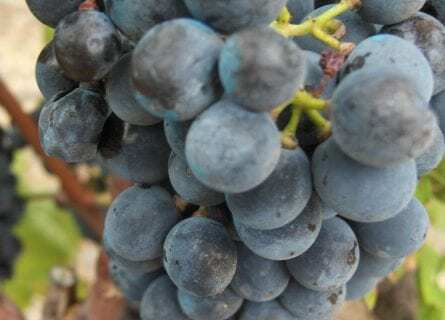 Not only are these wines now a leading reference of kosher wine worldwide, but they have become pioneers in Priorat and are at the forefront of DO Montsant international recognition. Enjoy a horse ride through the vines before settling into a private wine tasting session of a number of their wines including their white from White Grenache and Macabeu, 100% Carignan, 100% Pinot Noir and the remarkable “La Flor del Flor de Primavera” from 100% Grenache old vines (of 85-105 years old). Carry on to Falset where the annual Fira del Vi (wine fair) is held. A special five-course tasting menu paired with stellar wines awaits at Aspic. This is more than a top restaurant; it is very much a reference point for local gastronomy and wine. Proprietor and head chef Toni Bru conjures up fabulous Priorat cuisine with a modern flair all perfectly paired with exceptional wines – Buen provecho! Then on to your charming inn and base for the next few nights in the village of Gratallops. Cal Llop is a delightful boutique hotel in this picturesque region and totally in the heart of the wine country, with a number of the top vineyards just a short walk away. Settle in and enjoy a glass of wine, soaking up the breathtaking view from your balcony. After a leisurely breakfast, your chauffeur will collect you for a short 30-minute drive to the Perinet estate. Here your hosts take great pleasure in ensuring a magical experience. After a vineyard and winery tour brimming with fascinating facts and anecdotes, you will be invited for a barrel tasting followed by a tasting of their range of wines accompanied by delicious KM 0 products and their outstanding olive oil. The perfect aperitif, as lunch follows at Clos Figueres, another stunningly beautiful estate producing excellent wines and olive oils with a cracking restaurant totally dedicated to enotourism. The cuisine is strongly inspired by local, ecological products including fruits, herbs, and vegetables from their on-site kitchen garden. Visit Scala Dei after lunch to see the remarkable remains of the ancient priory, before heading to Miró Cubells for a Moli de Oli olive oil tasting. The unique Priorat terroir (llicorella) is perfect for sublime olive oil production as well as exquisite wines. You will sample the distinguished Moli de L’Oli as well as some intriguing macerated oils with 5 peppers, orange, and even coffee. Then in the late afternoon one more wine tasting at Conreria de Scala Dei, here you will sample the wines at various stages of the vinification process, ending with a tasting of the full range including; Les Brugueres, La Conreria, Iugiter, and Iugiter Selecció Vinyes Velles. On the way back to the hotel, enjoy a quick loop around the adorable hamlet of La Vilella Baixa. And then it’s a free evening in your enchanting abode. Enjoy a privately guided hike of ethereal Siurana this morning for a few hours, dreamy landscape and great to work up an appetite! Awe-inspiringly beautiful and it quickly becomes apparent why this was the last bastion to be conquered in Catalunya, with its almost unassailable sheer cliffs. Breathe in the pristine air and soak up the striking scenery. Then it’s time to enjoy wine and architecture at the beautiful Celler Cooperatiu de Cornudella de Montsant, a historic building born out of the aftermath of disastrous phylloxera and designed by architect César Martinell, who was greatly inspired by Gaudi. 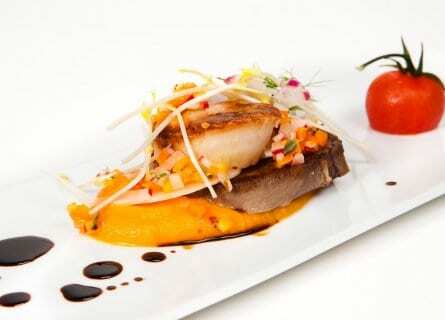 Lunch follows and is a tasting menu at Buil i Gine’s gourmet restaurant Amics. Not only producers of prime wines, but the restaurant on the top floor of the winery also offers sensational views whilst serving some heavenly representations of Priorat cuisine, all superbly paired with wines from their extensive selection. 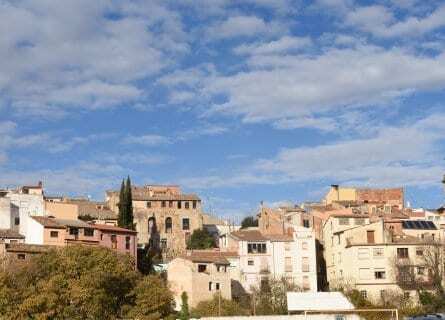 After lunch, your chauffeur will take you village hopping to nearby Torroja del Priorat and Porrera. Take a digestive stroll around these gorgeous villages, perched on the hills, plenty of photo opportunities and places to stop and take in the views. Porrera is particularly famous for its collection of sundials dotted throughout the village. Both villages are greatly influenced by their surrounding wine trade and you will be spoiled for choice for where to stop for a glass of wine. Then it’s back to your hotel for a free evening. You might like to visit Gratallops this evening with our tips of course. This morning you are in for a real treat, a private wine tasting tour at Mas Doix. Family run and although this family has a long viticultural history, Mas Doix is fairly new on the scene, established in 1998. It very quickly soared to its prestigious heights, gaining worthy recognition from Robert Parker (98 points) for the Doix Costers de Vinyes Velles, from extremely old Garnacha Tinta and Cariñena, which you will sample along with the range after your tour. Lunch is a gourmet affair at Els Brots, here Chef Pieter Truyts elaborates heavenly dishes such as the “Red wine sausage” which just melts in your mouth or the truly remarkable “Stewed Eel in Grenache with seasonal mushrooms” and finishing for example with “Honey Parfait with dried prunes and pine nuts” – utterly divine! Afterward, visit the quaint hamlet of Ulldemolins; situated in the Montsant valley and brimming with perfectly preserved monumental buildings, namely the St. Bartholomew Chapel – one of the best examples of Romanesque style architecture in the region. Then some free time to make the most of your last night in Priorat. A leisurely breakfast and check out, and then it’s just a couple of minutes’ drive to visit Costers del Siurana. 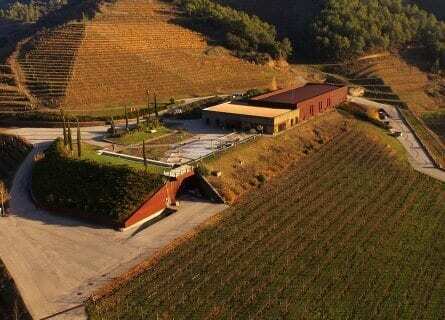 This mythical small winery, run by husband and wife team enologist Mariona Jarque and journalist Carles Pastrana came about in the late 1970s when this dynamic couple commenced an inspirational project of recuperation, renovation, and dedication, establishing the Clos de L’Obac winery. Internationally recognized stars Clos de L’Obac and Dolç de L’Obac will be included in your tasting. Clos de L’Obac is extraordinarily powerful; produced from a blend of Grenache, Cabernet Sauvignon, Syrah, Merlot, and Cariñena. A perfect harmony of the potent old vines with the younger players in the blend balancing the intensity and adding finesse – truly sensational! Then for the finale to this terrific Priorat trip; a visit to Clos Mogador. Another wonderful family affair, rich in viticultural history and a clear founder of the Priorat revolution. Strong believers in nurturing their terroir with organic practices, encouraging wild herbs to grow alongside the vines. One of the quirky practices here is the use of an olive press which extracts only half the juice of a typical wine press, resulting in intensely concentrated wines – pure elixirs, robust yet elegant. Your chauffeur will then transfer you for an evening arrival in Barcelona. Drop off at the airport, hotel or your next port of call and that concludes this ultimate Priorat wine adventure. You can be proud of how you have arranged this tour. Both vineyards were excellent and we were very nicely treated by both Carles Pastrana and Marta Rovira. A personality like Carles Pastrana is of course somewhat beyond and above the normal level. We had an excellent lunch at Costers Del Siurana`s restaurant. To summarize everything was on or above our expectations and we will return one day.